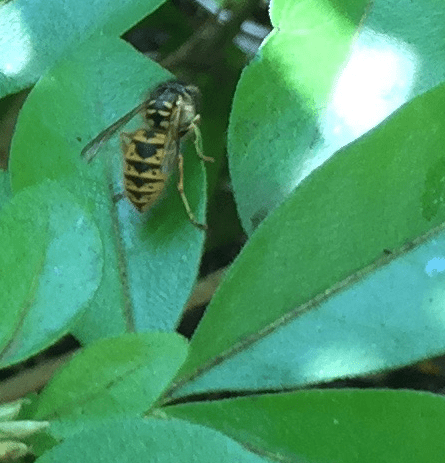 If you recall our wasp invasion of 2016 and the post that accompanied it… Follow that Wasp! you will recall that we could find no sign of a nest, despite the hiring of more than one wasp expert and our own vigilance. I am pleased to say that the removal of the tree near our house meant that we were not inundated the following year with feeding swarms of yellow and black striped creatures. We still had not found any evidence of a wasp nest though. Over the following couple of years, we forgot about the nest and were just happy in the knowledge that the problem had gone away. Last week, we had some electrical work undertaken at the house by a good friend. One of the jobs was to fit a new fan to the downstairs cloakroom as it hadn’t worked for some time…not since we had had had some building work done as it happens, in 2016, the year of the wasps! Our friend took down the old fan and what did he find? A wasp nest tucked into the duct. The council pest control office assured me it would be safe to remove as at this time of year, would not have any wasps in it. Indeed, it was falling apart, hence why I had found mysterious grey flakes and dust all over the cloakroom recently, after a particularly stormy night.